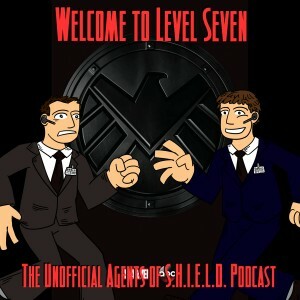 In Marvel's Agents of SHIELD episode “The Hub”, we learn a lot about SHIELD and its agents, we meet some new faces like Agent Shaw and Agent Hand, and we get to see a familiar old face in Agent Sitwell. Overall, a strong episode that continues the general upswing of the series! * Marvel, Disney, and Netflix are released thirteen episode seasons of Daredevil, Jessica Jones, Iron Fist, and Luke Cage!!! Then, those series will tie together in a four episode mini-series called The Defenders! This is HUGE. So big, that even though we discuss it a bit in this episode, we will be devoting an entire episode soon to The Defenders! * More of Skye's backstory! * But Skye's backstory is not center stage, and yet we care more about it! * Coulson is hunting for information about Skye. * Coulson is hunting for information about himself. 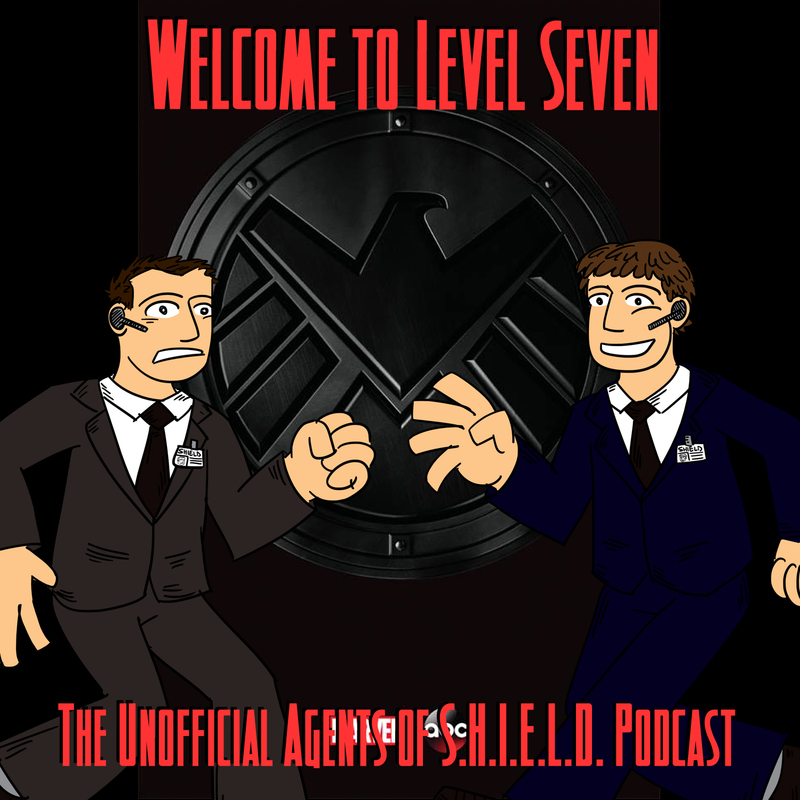 * New agents with Agent Shaw and Agent Hand. * There's a level 8??? And, as usual, we have some of the coolest listeners ever, who prove it with their awesome feedback! “The Hub” would have been a much stronger episode had it not chosen to give the guys something smart and important to do, and the women something silly and comedic. Skye should know better by this point than to try and work around SHIELD, and Simmons was so giddy with her apparently newfound infatuation with Fitz that she acted like a silly schoolgirl agreeing to go along with Skye’s hairbrained idea. Plus, the episode panders to another stereotype by continuing to present Agent May as the “inscrutable Oriental,” played for cheap laughs in the old “thank the person who didn’t say a word” gag. Lame episode, and not boding well for this show’s future trajectory. I couldn’t figure out from your discussion if you recognized that the line in the final scenes to May about Coulson asking her to “help” was not him asking her to help find out about Skye’s past, but COULSON’s. As was the phone call to retrieve the file – It was his own file he was trying to retrieve. I think it’s delicious that Coulson has decided to hold info back from Skye that he deems too secret or emotionally difficult to reveal as that is what others are doing to him (and he’s clearly having trouble with that.) The endless layers and possibilities of the Coulson/Skye relationship are really intriguing. Coulson actually having some feelings/dialogue about whatever happened to him is what is *finally* making me truly love this show (the same goes for Skye). I’ve been enjoying it from the start, but until the characters started putting some meat on the random bones(facts) about their pasts they’ve been spewing at us in the past few episodes, it’s felt more like homework than fun to watch. FYI, In Secret Avengers, Coulson does have handler duties for both Black Widow and Hawkeye! Yes, but that’s really kind of an different timeline/Universe for Coulson and I meant in the Movies/TV. I’m still unclear if we are supposed to take the two worlds separately or can count them as the same. Sorry, yes they are different Coulsons. My point is it’s a really good idea, good enough to make it into the Marvel 616 with that very different Coulson (nicknamed Cheese). Hey guys. I love listening to your podcasts, but I do have a suggestion. Some of us, like myself, are totally caught up on the show, but just recently have found your podcast. I enjoy going back and listening to the old podacasts in hopes of soon catching up to your most recent discussions. As a result, I often have no idea what you are talking about sometimes. This is due to the fact that your discussions are quite vague at times. You often refer to characters actions and dialogue as “what they did” or “what they said” instead of actually telling us what they did or said. Yes. I saw the episode and should know by watching, but a reminder of what happened would do good to refresh the memory. You may not like episode recaps, but I happen to need them in some way or another. It’s getting expensive having to go buy these episodes to watch over again just to understand your references. They are not free online forever. I am also not a fan of including listener feedback in the same podcast as the episode discussion. The podcasts are just way too long. All that being said, I will still continue to listen and enjoy, but I may have to start cutting you off during listener feedback. There are just too many shows to catch up on and other podcasts to listen to about them.